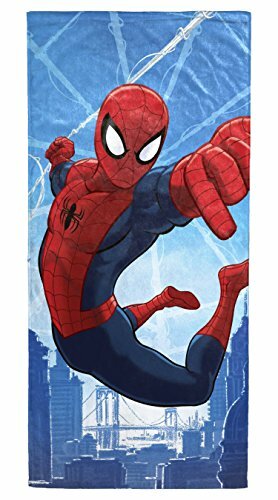 They will be the coolest kids on the beach or at the pool with their favorite Disney movie character beach/pool towel. Super soft cotton woven jacquard towel absorbs water and dries quickly for all day use. Each kids towel measures 28" x 58" and is sure to be the envy of their friends. Perfect for bath time too. Fun in the sun will never be the same. Easy care, machine washable cotton. Imported. Beach/bath towel measures 28" x 58"